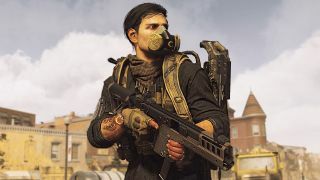 A few days ago the latest Title Update 2 patch landed for The Division 2 which included plenty of bug fixes and some additional content, but since then players have noticed a significant drop in the amount of ammo they’re able to find for their signature weapons. On the Division’s subreddit page (via PCGamesN), players have been expressing their frustrations over the lack of ammo they’re able to find after hours of play time. Many players have said they’ve gone through entire strongholds with very few - if any - ammo drops. Since the thread was posted, hundreds of players have chimed in to say they’re experiencing the exact same issue. “I had 2 rounds drop, but that was it for the entire stronghold. I thought that was rather odd”, Reddit user Prank_Owl wrote. Several players have also said much the same thing on Twitter, with many saying they’ve been unable to find any specialist ammo at all. Ubisoft has replied to numerous Tweets inquiring about the drop rate, and have since said the issue is under investigation. Be sure to check our Division 2 tips to be the best agent you can be!